Math is the root of magic in this unique and enthralling middle grade fantasy. Math is power in Jim West’s Circulus de Potentia, the second book of his Magicae Mathematica series. 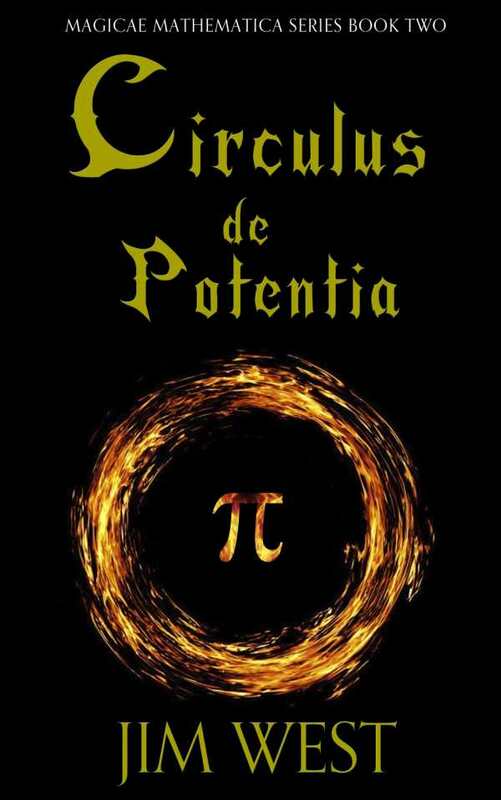 In a plot that brings fresh energy to an often underappreciated academic discipline, displaced Alexandra Grate must search for the secret of pi while navigating a dangerous world where magical power comes from mathematical sources. After two of his apprentices attempt an attack on the city’s ruling council, Master Wizard Archimedes chases them away into exile. Shortly thereafter, a mysterious stranger enters the city and challenges its Guardians to battle while wearing the Circulus de Potentia, a crown of nearly infinite power derived from the mathematical constant of pi. Archimedes sends Alex—a twelve-year-old girl who previously drifted from our reality into the Magicae Mathematica world—and several of his other pupils on an urgent errand to find the eccentric Pythagoras and obtain the secret of pi. The youths know their brief journey won’t be an easy one, but they also know the fate of the entire city relies on its success. Magic is generally popular in juvenile and young adult fiction, and making math the key to using magic promotes its value. Since math can have unpleasant connotations for students who struggle with it, stories that renew interest and appreciation for the subject have considerable value. Furthermore, using a protagonist from our reality connects the power of math in the story to the importance of math in reality, and making that protagonist female may also encourage girls to pursue the study of this traditionally male-dominated discipline. Moreover, the story plays out in an appealing manner. Each event happening within the primary plot of the book offers enough detail to make sense and enough brevity to avoid dullness. As the second book of a series, however, it does contain some points of confusion for anyone new to the Magicae Mathematica world. For example, characters mention a great battle that occurred within the first book, but West does not elaborate on the time line or details of that battle, so the event remains somewhat vague within the confines of these pages. Jumping into the story without having read the previous book is not impossible, but would not be advisable. Aside from an interesting premise and plot, Circulus de Potentia also features engaging characters. As someone from our reality, Alex serves as a bridge between the known world and this fictional land. The inclusion of characters who share names with important mathematical figures—notably, Archimedes and Pythagoras—also strengthens this bridge. The protagonist and major supporting characters struggle to balance strengths and weaknesses, making them quite relatable. Alex is brave, but homesick and out of place. Her friend Nosaj must overcome pride and cowardice to improve upon his leadership abilities, and her friends Mada and Maya have their own personal obstacles they actively confront throughout the story, as well. Fans of middle grade and young adult fantasy who love stories about alternate realities would likely enjoy this book, especially if they’re looking for something unique. Circulus de Potentia starts with an intriguing concept and follows through with an equally enthralling story.